The TIP is the regionally agreed-upon list of priority transportation projects, as required by federal law (ISTEA, TEA-21, SAFETEA LU, MAP-21, and the FAST Act). The TIP document must list all projects that intend to use federal funds, along with all non-federally funded projects that are regionally significant. We also include all other State funded capital projects. The projects are multi-modal; that is, they include bicycle, pedestrian, ITS, and freight related projects, as well as the more traditional highway and public transit projects. 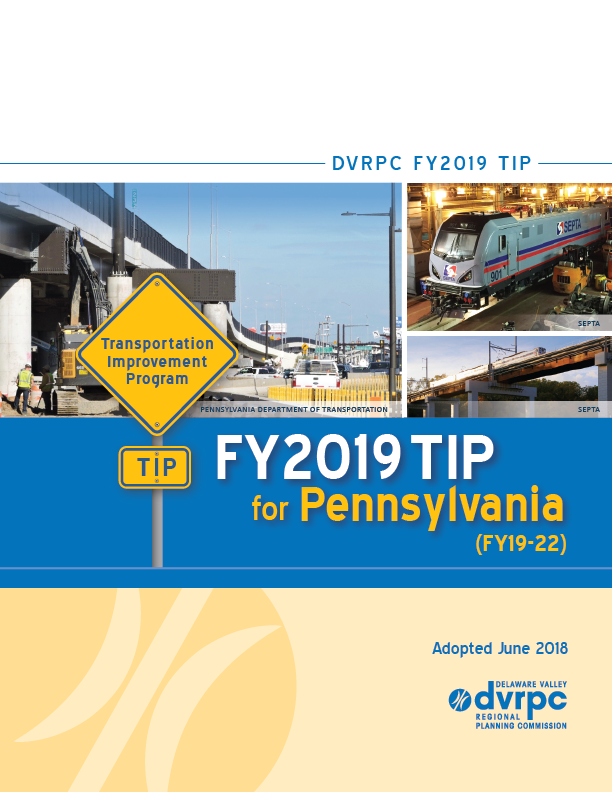 DVRPC has produced a brochure providing an overview of the TIP, how it was developed, and how you can become involved. 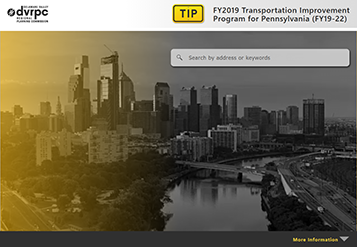 The DVRPC FY2019 TIP for PA (FY19-22) was adopted by the DVRPC Board on June 28, 2018, and is in effect from October 1, 2018 to September 30, 2020. This important document catalogs the latest program of transportation projects for the Pennsylvania counties in the bi-state region. 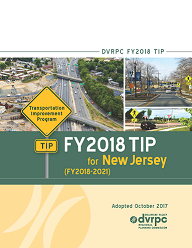 The DVRPC FY2018 TIP for NJ (FY2018-2021) was adopted by the DVRPC Board on October 26, 2017, and became effective on January 23, 2018. This important document represents the latest program of transportation projects for the NJ portion of the region. This TIP will remain in effect until at least September 30, 2020. DVRPC provides project management assistance to PennDOT and our New Jersey counties for certain federally-funded transportation projects. The PennDOT-assisted projects include multi-use trails, reconstruction/restoration of historic transportation buildings, improvements to scenic roads, pedestrian facilities, and streetscape improvements, among other types of projects. DVRPC also assists our New Jersey counties with the implementation of bridge, roadway, and intersection improvement projects funded with Urban Allocated Surface Transportation Program (STU) funds.